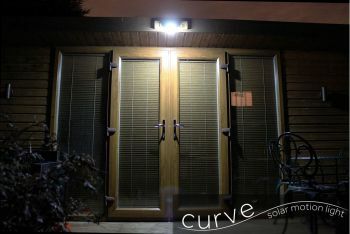 The Curve is a stylish solar powered motion sensing light featuring 16 LEDs, comparable to a 50 watt halogen bulb in light output. 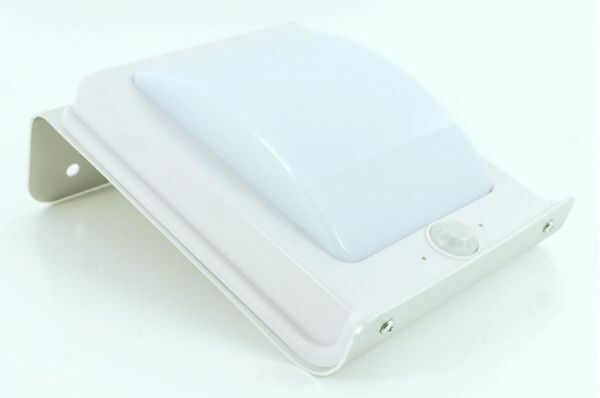 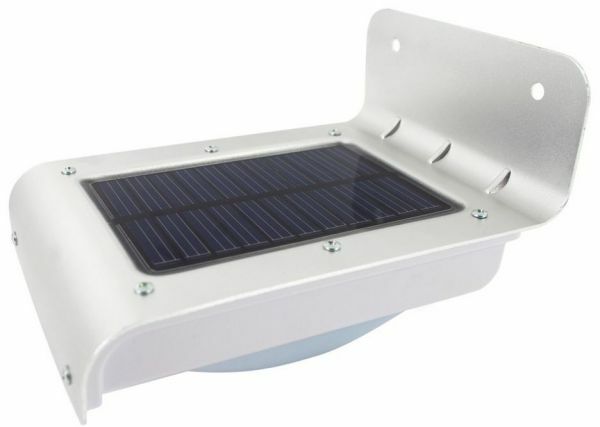 The solar light will engage dim/power saving mode (1 LED) at dusk where it emits a constant gentle glow until the motion sensor picks up movement and triggers bright mode which will illuminate at full output until 30 seconds after motion ceases. After a full day of charging, the bright mode can trigger up to 250 times in a single night. 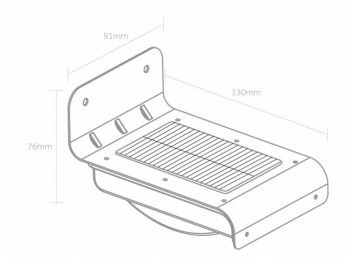 The Curve can be wall mounted via the inbuilt mounting bracket set at 90 degrees and requires no cable connection as the solar panel is on top of the spotlight. 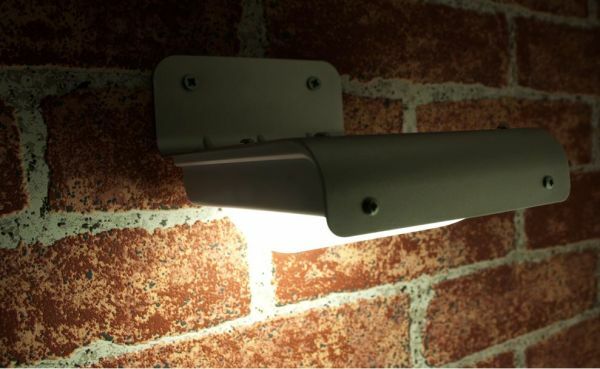 For best results the spotlight should be installed on a south facing wall that receives a good amount of sunlight, but the Curve will also take some charge in unfavourable conditions making this ideal for use the whole year round.